Università della Svizzera italiana (USI), sometimes referred to as the University of Lugano, is one of the 12 certified public universities in Switzerland coordinated by swissuniversities. Established in 1996, USI has grown steadily and includes today five Faculties: Architecture, Economics, Communication Sciences, Informatics and Biomedical Sciences. USI currently counts also three affiliated entities, the Institute for Research in Biomedicine (IRB, Bellinzona), the Institute for Oncology Research (IOR, Bellinzona) and the Dalle Molle Institute for Artificial Intelligence (IDSIA, Manno). Its small size, the direct interactions between students and Faculty, the seamless mix of different disciplines, the generous space and the state-of-the-art technical infrastructure make USI the ideal place to study and conduct research. USI is a multilingual university with a strong international reach, with students hailing from over 100 different countries. This international attitude translates into a wide range of study programmes in English. Study curricula at USI are consistently updated and improved, thanks to the close relationship between research and tuition. In addition, the diverse geographic and professional backgrounds of professors and lecturers, with their innovative perspectives, allow for an enriched classroom experience. The interdisciplinary approach allows students to broaden their horizons by taking courses offered in other USI Faculties and at partner universities, thus customizing their own education. USI is well connected to the job market. Internships in companies and institutions in Switzerland and abroad are an essential component of students' study curricula. Case studies, field projects and interaction between students and professionals enable our students to put their theoretical knowledge into practice. Why study Intercultural Communication at Università della Svizzera italiana (USI)? Switzerland has a long tradition of federalism and institutional decentralization which have favored a harmonious coexistence of its different cultures, languages and religions. The Università della Svizzera italiana despite its relatively recent foundation, has acquired a solid reputation in scientific research as well as in academic teaching precisely because of its strong international, multilingual and multicultural character. 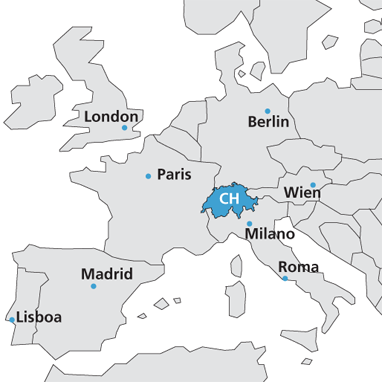 USI is located in the Italian-speaking part of Switzerland, a language and cultural minority region. 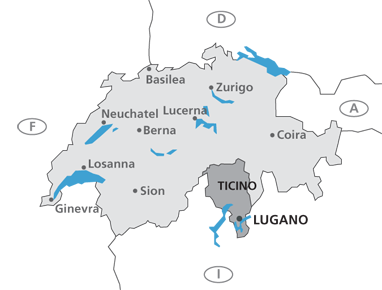 At the same time this region acts as a bridge between Northern Italy and the German- and French-speaking regions of Switzerland and the neighboring countries. USI is therefore particularly receptive to multicultural challenges and very experienced in coping with them. Accordingly, the university places great emphasis on interdisciplinary approaches to concrete economic and social problems. 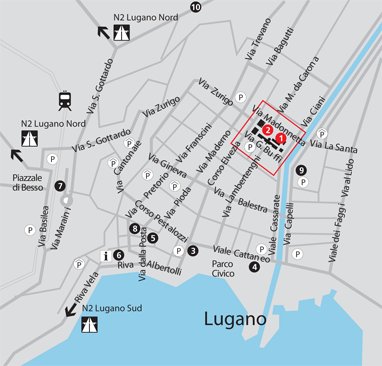 Lugano can be easily reached by air, train and car. You may take bus number 2 to the main bus terminal (Al Forte). Change to bus number 5, that goes to USI (Via Madonnetta). 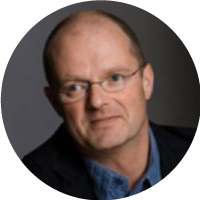 Here you meet people from all over the world, with different realities and professional backgrounds, with rich social experiences and world views. And all of them come to Lugano with one common goal: to move the world forward into a future of dignity.